Anglo and Mexican sayings are often subtly different. For starters, consider your pet cat. 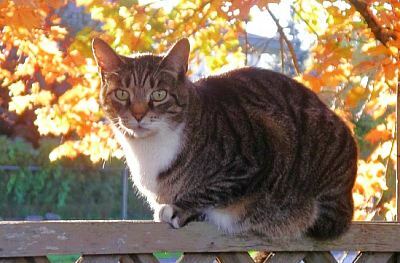 In Canada or the USA, cats are considered to have nine lives; in Mexico, however, cats only have seven (siete) lives. Perhaps they used up two lives as kittens just getting to be old enough to be a cat? Nine lives or seven? Hmm... let me see, which country is this? Photo by Tony Burton. All rights reserved. Or perhaps the difference reflects the differences in the human lifespans in the two cultures? The life expectancy of someone born in the USA is currently about 74 years for men and 80 years for women, compared with 73 years and 78 years respectively for people born in Mexico. While on the subject of luck, it is not Friday the 13th that is considered an unlucky day in Mexico but Tuesday the 13th (martes trece). Perhaps that is just as well since it means that it can never simultaneously be unlucky in all three North American countries. Hence, on days when it is unlucky to do business in the USA and Canada, it will not be so in Mexico and vice versa. In 2001, Mexicans had to survive three Tuesdays that fell on the 13th (February, March and November), whereas Anglos had to cope with two Fridays that fell on the 13th: April and July. In 2002, it was a better time to be in Mexico since there was only one martes trece in the calendar (in August), compared with two Fridays the 13th, in September and December. The calendar is not always very fair. This year (2010) Mexico faces two martes trece (April and July) while Anglos are looking at only one Friday 13th (August). But the same is also true in 2011, with a martes trece in both September and December, while Friday 13th occurs only in May. Perhaps readers know of other days of the week associated with the number 13 and considered unlucky elsewhere in the world? So, be careful on December 28 if anyone admires your prized possessions! Now, you probably want to know how these subtle differences came into being. Well, I’ve no idea and I’d like to know too! But it is precisely these subtle differences in sayings and beliefs that help make Mexico such an interesting place. Remember, though, that these small, and apparently insignificant differences in everyday life are only the tip of the iceberg. Anyone intending to do business in Mexico or thinking of moving there from another country should be aware that many aspects of Mexican culture and life are very different to Canada and the USA – not better, not worse, just different! 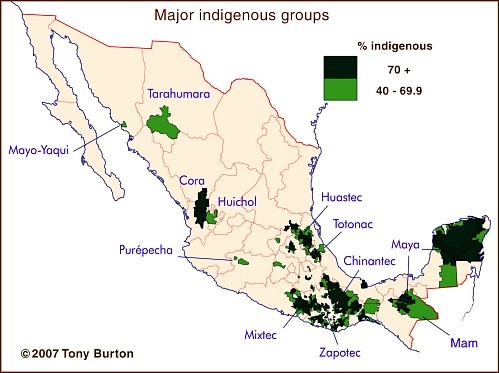 Linguistic diversity in Mexico, with a map showing areas where indigenous languages are spoken, is analyzed in chapter 10 of Geo-Mexico: the geography and dynamics of modern Mexico. The geography of the Spanish language in Mexico, complete with a map of Spanish dialect regions, is discussed in chapter13 of Geo-Mexico; Mexico’s life expectancy is discussed in chapter 9.